Join MODA for a special event at Switch Modern. Designer Lawrence Azerrad will discuss what made Concorde the single most important piece of design in our recent history. 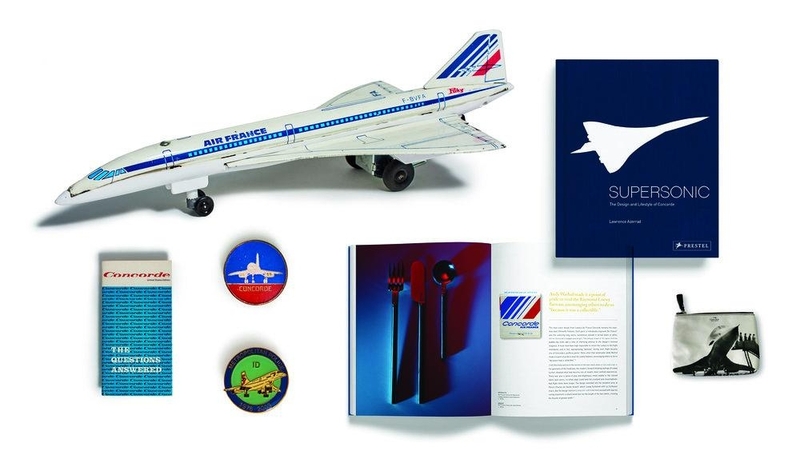 Listen to how Lawrence’s obsession with Concorde began as a child and his ever-growing collection of Concorde memorabilia now encompasses around seven hundred items and has now manifested itself into a new book, Supersonic, The Design and Lifestyle of Concorde, published by Prestel. Lawrence will also talk about his Grammy Award-winning boxed set The Voyager Golden Record 40th Anniversary Edition which commemorates the interstellar message launched on the Voyager spacecraft, now almost 11.5 billion miles away. This lecture is free, but seating is limited, so please reserve your place in advance. Parking is limited and we encourage you to use ride share services. Lawrence’s book, Supersonic, The Design and Lifestyle of Concorde, will be available for purchase at this event and Lawrence will be happy to sign books. Family Free Day: Your Vote Matters!